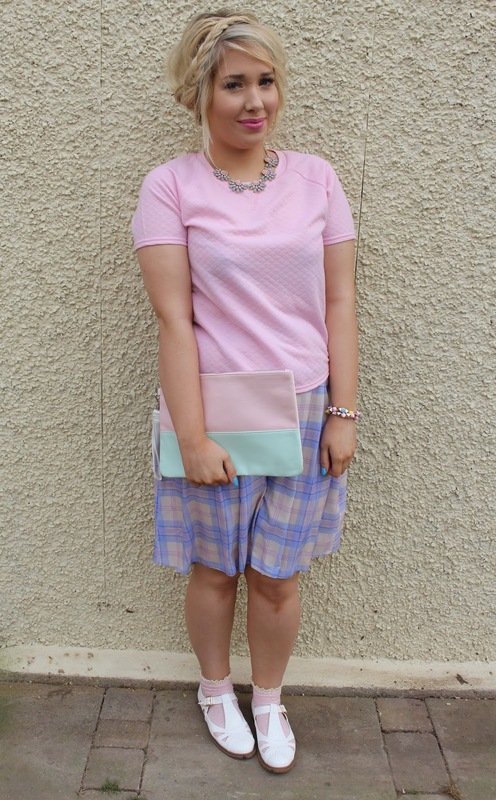 This is a delightfully spring-like outfit, isn't it? About time too, I'd say. 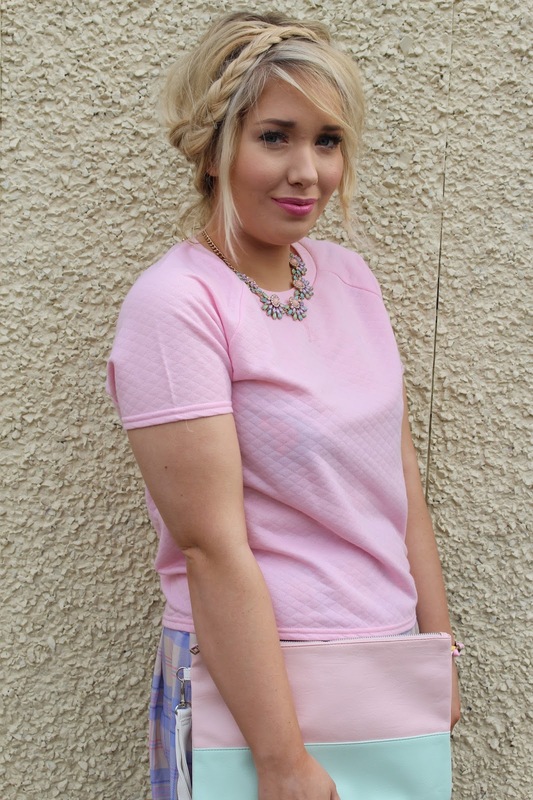 With the clocks springing forward this weekend I felt it was only right to show you some of the super pastel spring bits I picked up from the one and only Primark recently. I had a total field day in the Tottenham Court Road store and put this little outfit together, wearing entirely Primark, bar the Boohoo shoes. As you can probably tell, I adore everything about this outfit. 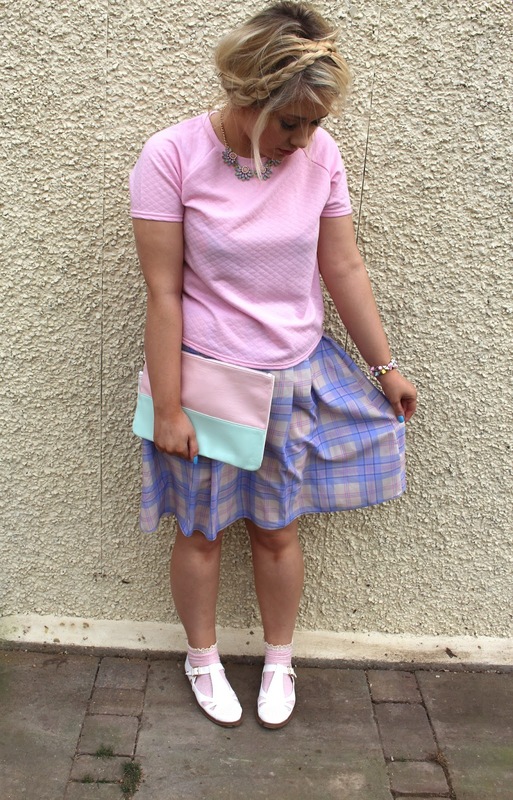 The candy-pink tee, the girly tartan skirt, the dolly shoes.... it all works. 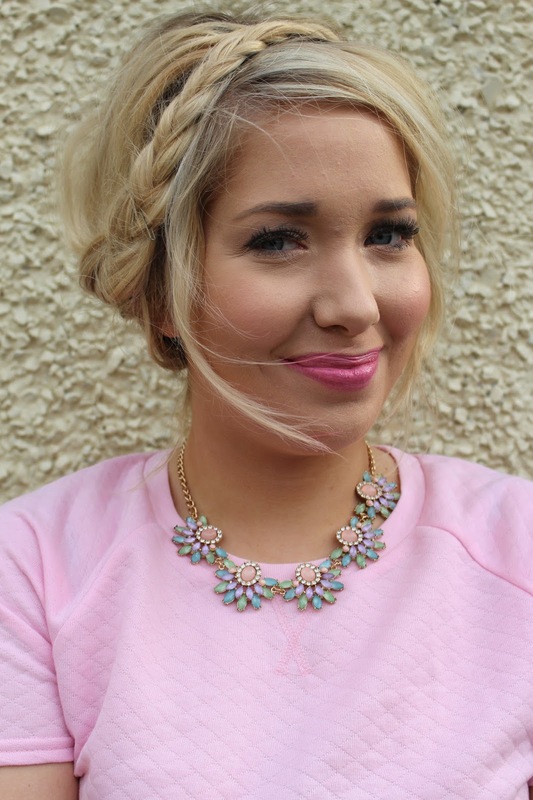 Pastels are my favourite shades to wear and these ones look incredibly cute together. I'm aware people who aren't the biggest pastel fans won't like this outfit one little bit, but I tend to think those people are a bit peculiar. No offence. Anyway, I thought I would show you the bits I picked up from good ol' Primark in a little haul video, seen as it's been a few weeks since my last one. I also have both a homeware AND an ASOS haul coming up on my channel, so if you could go subscribe here that would be amazing.